What to do? What to do? 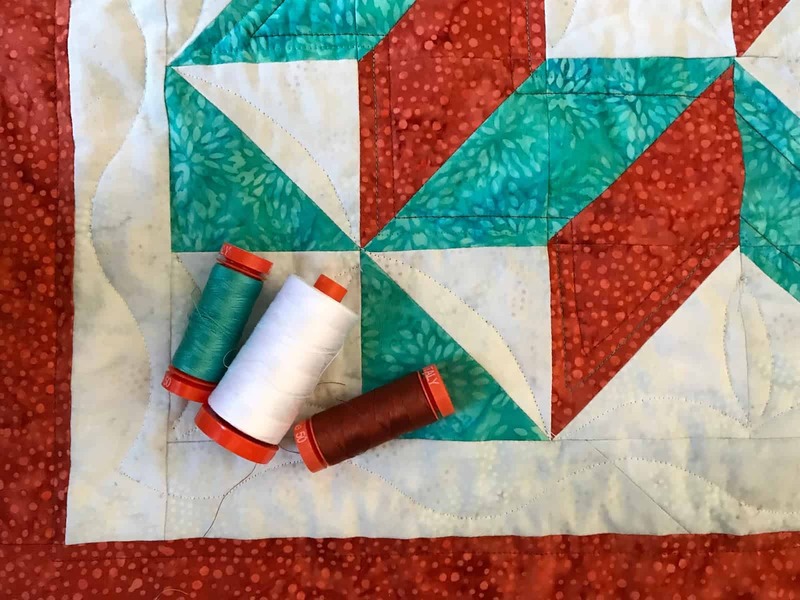 I so love vintage quilts and there are so many ways to make them new. 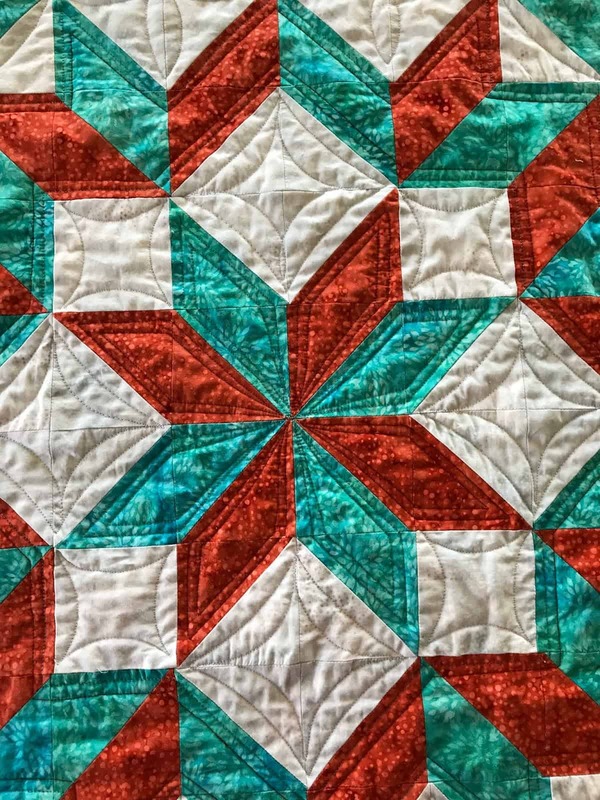 I have been wanting to try Beth Helfler’s accordion triangle technique, so when I saw the Mennonite Broken Star I couldn’t resist and thought a new technique would make this so much fun. 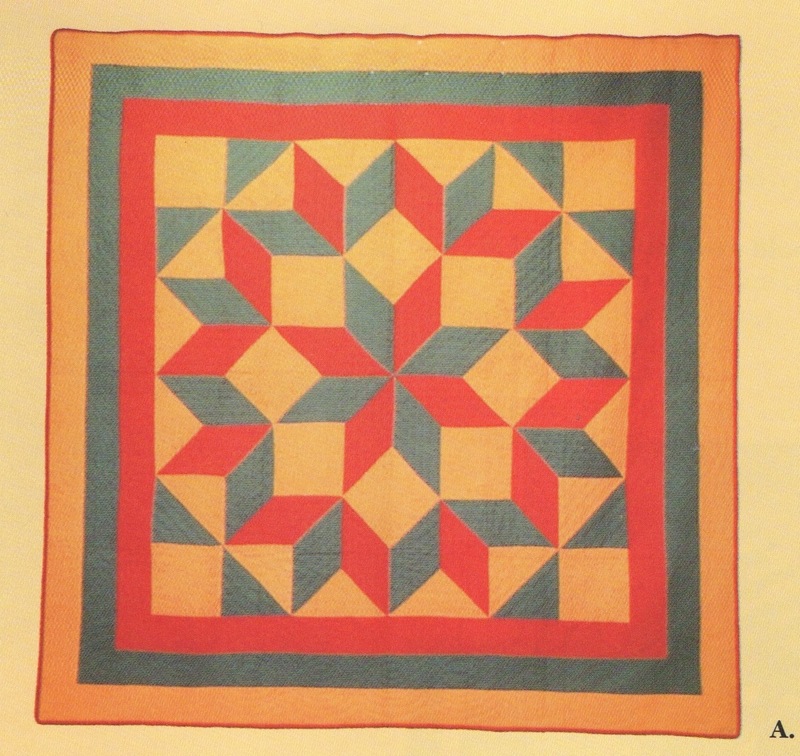 I have lots of books on historical quilts. 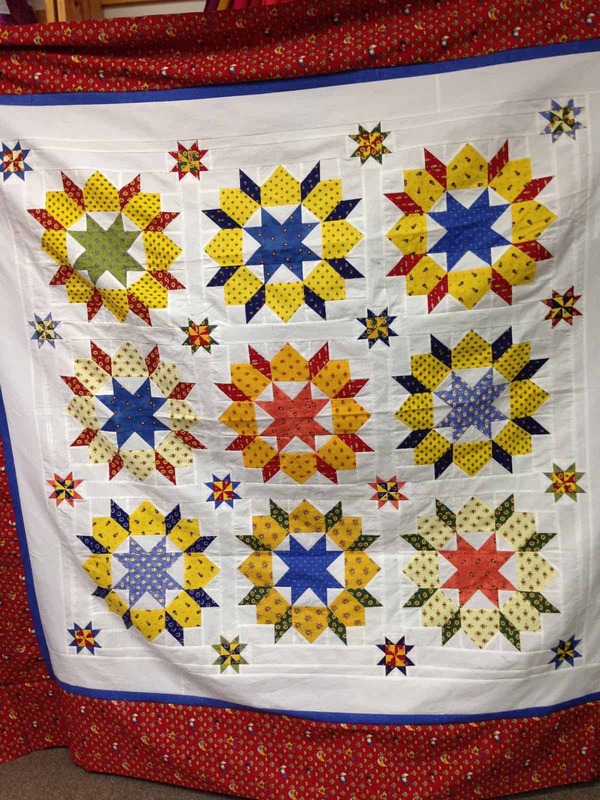 This picture came from Vintage Quilts: Collecting, Dating, Preserving…. by Gerald E. Roy, Sharon Newman and Bobbie Aug. I had the privilege of taking a class with Sharon Newman many years ago, and this brought back fond memories. 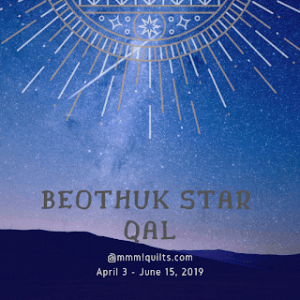 As the book says: Seven of these quilts are thought to exist, one made for each of the maker’s seven children, three are known to exist and are in private collection…”(page 71). The block is also known by a few other names: Broken Star, Carpenter Star, Carpenter Wheel and Swoon. Swoon is a favorite among many quilters – I did a quilt in French fabrics a few years ago using Swoon. I do have a love affair with stars of many varieties. This one keeps reappearing in new ways. I began by selecting fabrics. 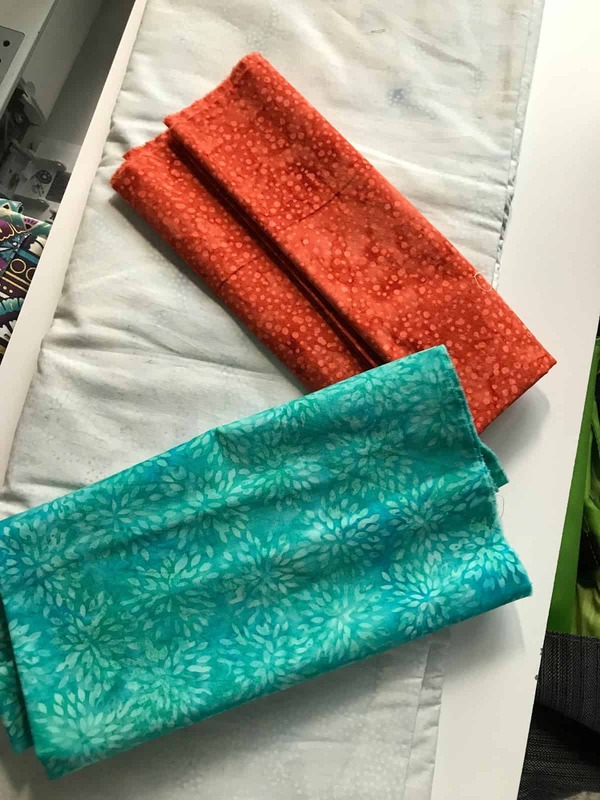 Part of the challenge is being sure to have enough fabrics to finish a project – always interesting – and it always is fun. I had just enough of this grouping: Small Pointed Floral in turquoise and Bubbles in Salmon would be pieced with a lovely neutral called Rice. So what is this technique. Well, it is genius! 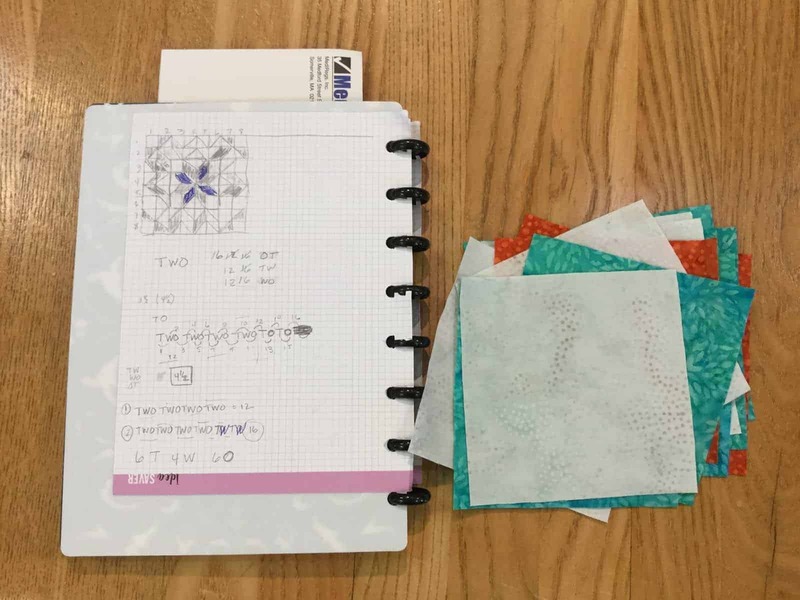 Beth Helfter of Eva Paige Quilt Designs calls it Accordion Sewn HST™(Half Square Triangle). She has videos on YouTube that show you the technique and a book coming out on it very soon. 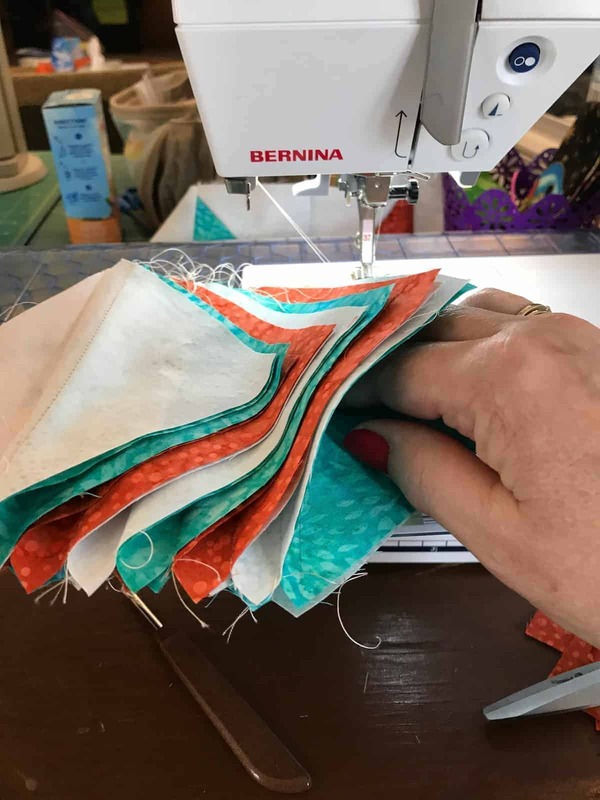 You sew half square triangles into what Beth calls and accordion. It is much more fun than the ordinary half square approach. I followed her pattern, but true to form, made mine a bit differently. The inner star was easy, following her pattern. The outside star was a little more difficult – because of my changes not hers – but I persisted. Also, I did not have enough fabric to do a third ring of star points or a third border. I simply needed the right count of each pair of fabrics to get it done. Here is a group of squares sewn together. The picture on the left is getting ready to sew the front and back piece together. 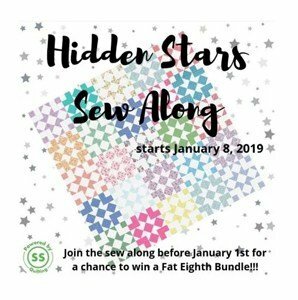 After this you trim, press and sew the HSTs together. 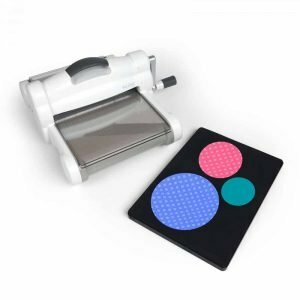 Beth recommends the Clearly Perfect Slotted Trimmer and Clearly Perfect Angles to make your work easier (affiliate links). I didn’t use these tools, but I have them now and will review in another blog entry. The top was completed on my guild’s retreat weekend. Here is is hanging above the quilters – among the group of finished tops. Quilting wasn’t in the cards for the weekend. 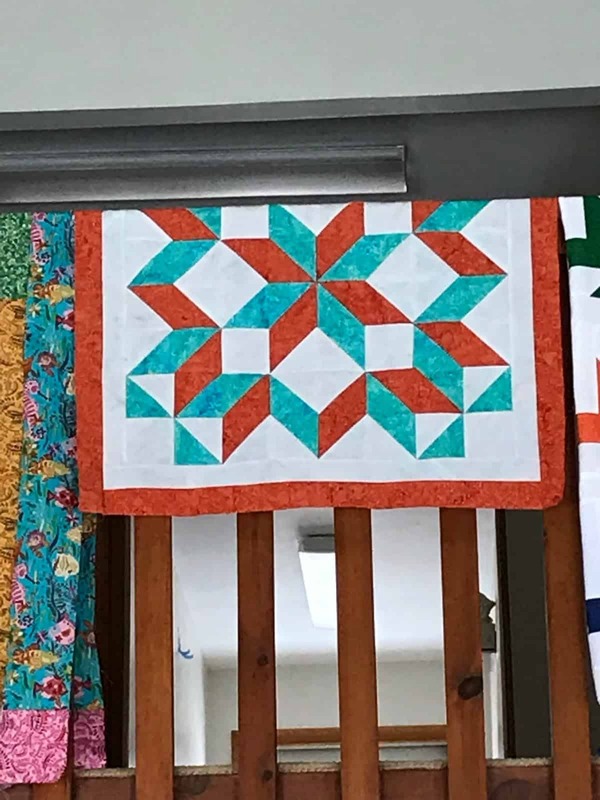 My next great dilemma was how to quilt the Carpenter Star. I decided to use Westalee rulers again on my Bernina 440 and I am very happy with the results! I decided to stay with a more traditional quilting, that is, not as dense as modern quilting to reflect the traditional nature of the block. 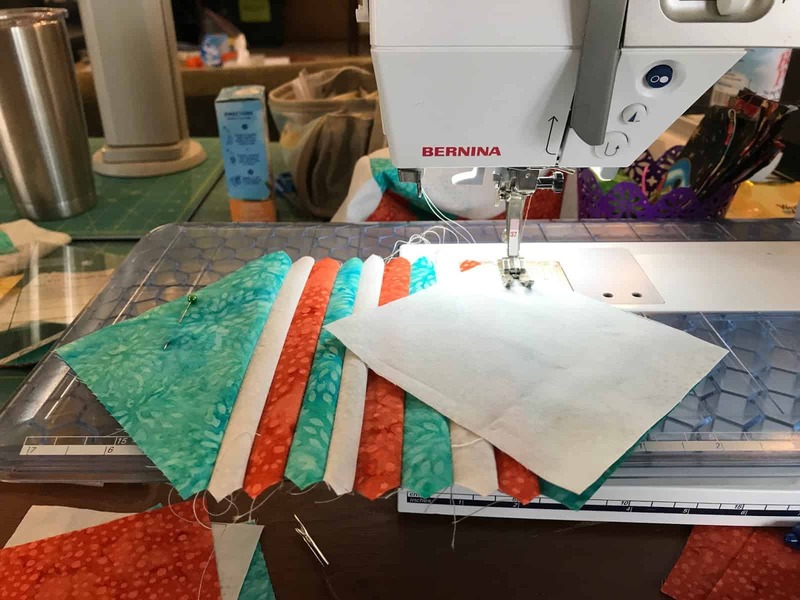 Our Island Batik box also included Aurifil thread and I pieced quilted this quilt with 50 wt. Aurifil 2024 white, 1148 light jade and 2350 copper. 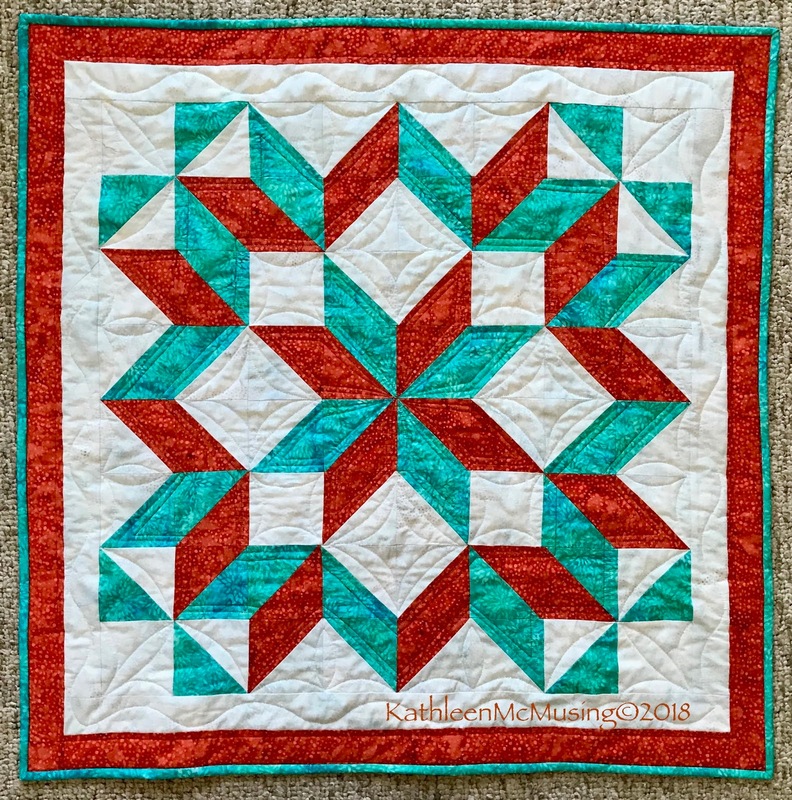 I love the color combination and the finished quilt. 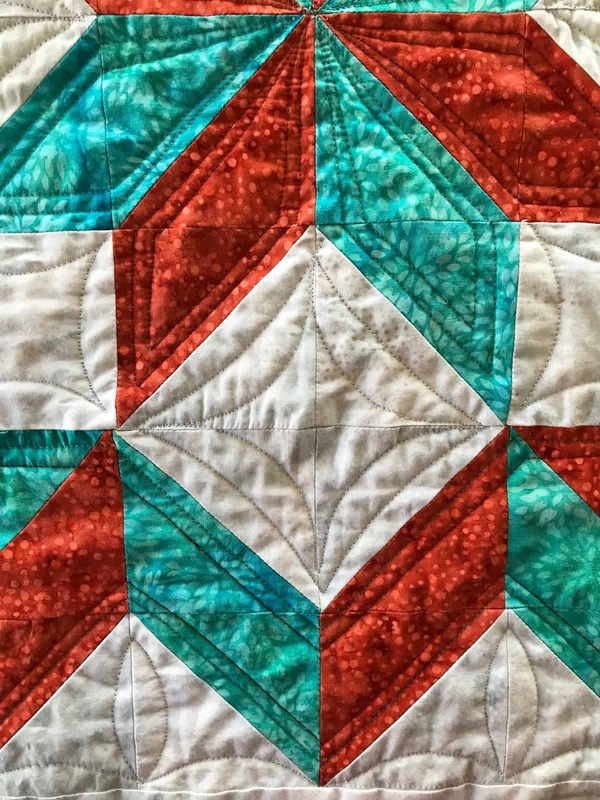 I loved the challenge of the making something old in a new way and this new technique takes half square triangles to a new height! I highly recommend checking out Beth’s technique, you won’t be disappointed. And, this finishes my first project for the second quarter FinishAlong; you can see my goals here. 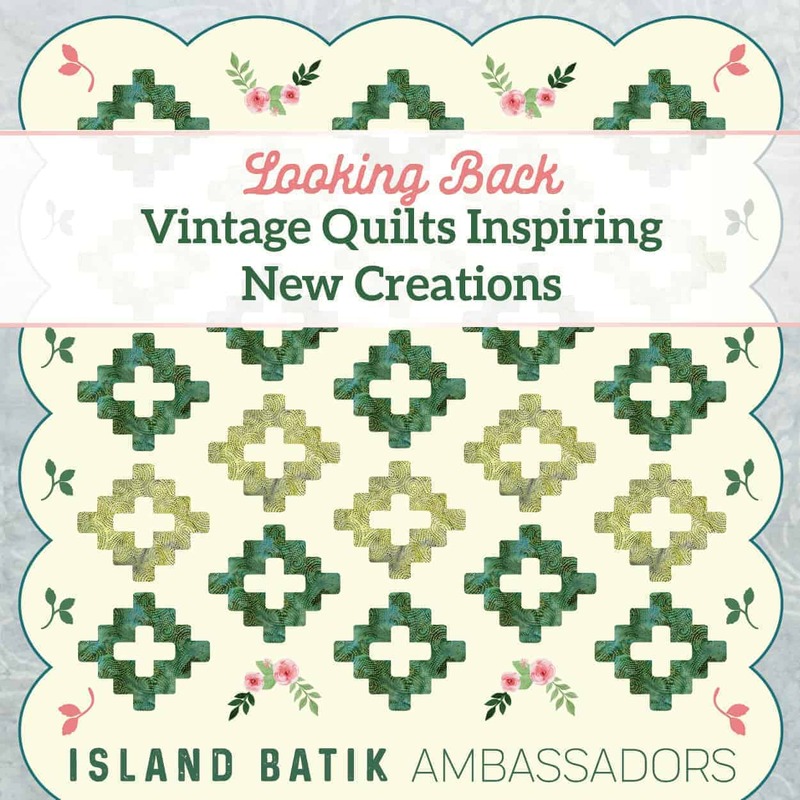 Thank you Island Batik and Aurifil for providing the great materials to work on and another interesting challenge. 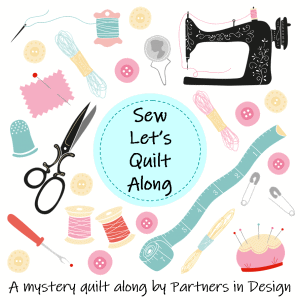 Next Post Partners in Design Presents…..Fall into a QAL! Thanks, Yvonne. I sometimes worry it too much – don't we all. Thank you, Roseanne. It is a new technique as far as I know (been around longer than I'd like to admit). Those colors are becoming a favorite these days….maybe the Southwest is calling me. Great colors for this. I've seen Beth's method, and think it's great you used it. I like the history, too and the quilting. Thank you, Maryellen. I love the method and it was a great reason to use it. I wanted to highlight some of the history (although there wasn't much on it). I always wanted to study fabric/quilting history more but never did it. I do a little on my own, which suits me just fine. 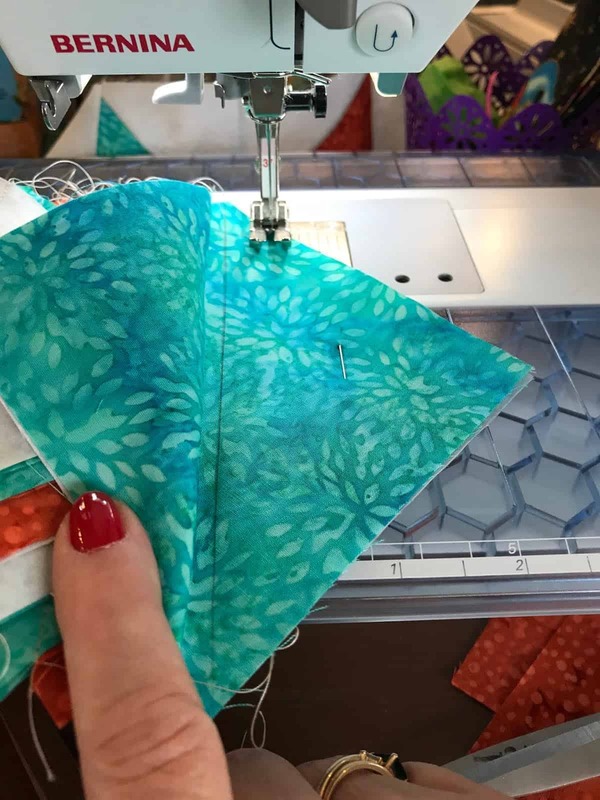 Thank you for sharing and highlighting my Accordion Sewn HSTs™! 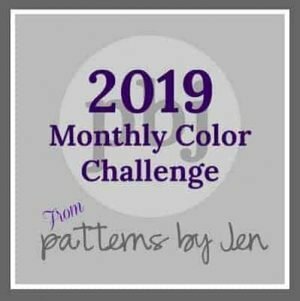 It's so much fun and I love that you were able to incorporate the ideas in my pattern with the other block! Thank you Beth! It is a wonderful technique and so much fun! I can’t wait to see the book. Wow, I love that technique!!! And I love your carpenter's star, Kathleen!!! Great quilting choices on it. I worried those quilting choices, not sure why but I did. You will love the technique if you try it – magic! 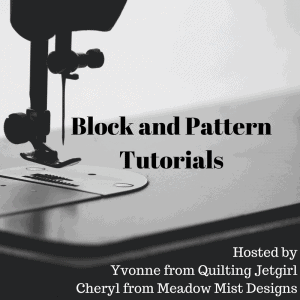 Love your block and your method of HSTs. Thank you for coming by and do try the HST technique – I think you would have fun! Love the quilting! I made this quilt using Beth's technique but have been stalled on the quilting design. Thanks for the ideas. Awesome colors! Its a great technique, isn’t it. I used rulers and if you don’t you can easily mark and use a walking foot or free motion – whatever you like! Wonderful, those fabrics are delicious. So sweet, thank for stopping by Barb! Lovely! I just recently discovered the Carpenter's Wheel and I am completely in love!! I have never seen this HST technique before. Emily, the block is fun and the technique is even more fun! Do check it out. Very pretty quilt – love the colours you chose! Thank you, Karen. It is fun to replicate the old designs in a new way. wow, thanks for the tip on quickly making half square triangles. Your quilt is lovely! You are welcome, Dena. It really is a fun way to do it! Well, how did this reply get lost in the mail??? I loved it and you will have fun if you try the technique. The rulers are awesome, I like being a little more precise – they are a big help. Thank you, Abbie. I do have a lot of projects and I am having a good time. Let me know if you check out the video…I'll be curious to see what you think.